Just because you aren’t a teen anymore doesn’t mean you can’t have your perfect smile. In fact, adults are the fastest growing segment of the population when it comes to orthodontic treatments, with some orthodontists reporting that 50% of their patients are adults. Whether it is for cosmetic reasons, or to correct an issue that is causing pain or problems with eating or speaking, you are never too old for orthodontic treatment. And men, this goes for you too. Treatments used on kids and teens are just as effective on you as an adult, they may just take a little more time because your teeth have been in their current positions longer. And there are treatments available now that probably weren’t when you were a teen, giving you more options to choose from. For those who want the effectiveness of traditional braces without the silver brackets. An easy and practically invisible way to work toward the smile you’ve always wanted. Yes! 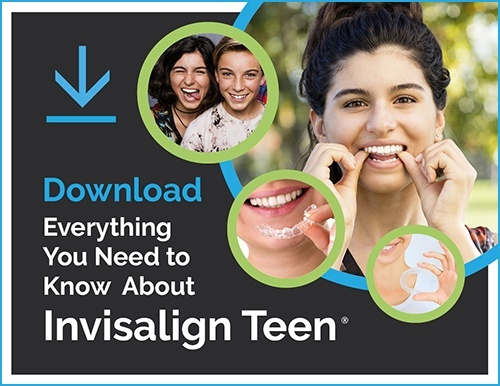 You can do almost anything during orthodontic treatment— sing, play a sport or musical instrument, dine out, and even have your picture taken. Some temporary adjustments will be necessary, but if you’re like the vast majority of adult patients, you’ll adapt quickly. Typically, yes! Dr. Milnor will need to consult with your dentist and/or periodontist about the health of your gums. If you are a candidate for orthodontic treatment, you will continue regular visits with your dentist and/or periodontist. For many patients, proper tooth alignment can contribute to healthy gums. I’m missing some teeth, can orthodontic treatment improve my bite? Typically, yes! Whether you are planning to replace missing teeth or not, you may benefit from a consultation with Dr. Milnor. If replacements for missing teeth are planned, Dr. Milnor can help keep the necessary space open. If no replacements are planned, Dr. Milnor may be able to stabilize your teeth so shifting does not occur or is minimized. Dr. Milnor will work with your dentist to achieve the best result.